New *****Swiss Diamond Plus Cookware*****...On Sale! High Quality, Made in Switzerland / Germany! In Stock! Amazing - You must try these...We have low prices! Nothing conducts heat more efficiently or more quickly than diamonds. Diamonds will provide a lifetime of non stick performance. Pressure cast 8 mm aluminum body will not warp. 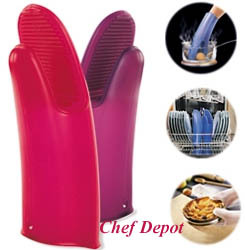 The Ergonomic handle is designed for comfort and balance, safe up to 500 degrees F. Metal utensil and dishwasher safe. Mfr. Lifetime Warranty! Gold Medal Winner. The Rolls-Royce of Nonstick Fry Pans - Wall Street Journal. Diamond cookware has been rewarded for its quality and design aspects by the best institutes in Europe. Cutting-edge quality made in Switzerland / Germany: manufacturing process on these pots and pans including the application of protective coating, is entirely free of PFOA (chlorofluorocarbons). We have Low Prices & Free Shipping (Cont. USA Only)! New Diamond 11 piece cookware set features a revolutionary new diamond reinforced non stick cooking surface that provides optimum non stick performance, durability and easy clean up. Swiss Diamond 11 set includes an 8 in. and a 9.5 in. fry pan, a 10 in. saute pan deep side fry pan with lid, a 1.4 qt saucepan with lid, a 2.2 qt sauce pan with lid, 8.5 qt stock pot with lid, and 11 x 11 in square frying pan (great for bacon, fish or french toast). Used by discerning home chefs around the world, Swiss Diamond PFOA free cookware features unsurpassed nonstick performance for healthy cooking and easy clean up. The patented nonstick coating, reinforced with real diamond particles, allows oil-free cooking and cleans up with just warm soapy water. No more scrubbing and soaking! 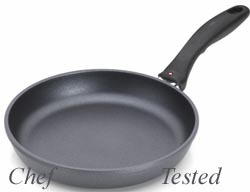 Swiss Diamond patented nonstick coating is reinforced with real diamonds for excellent durability and resilience. Why diamonds? Three reasons: they are durable, they are naturally nonstick, and they conduct heat better than any metal. A perfect combination for a lifetime of cooking excellence. Swiss quality is visible in every aspect of Swiss Diamond cookware. Heavy-duty cast aluminum will never warp, while the perfectly flat base distributes heat evenly and will not tip or spin. The rivet-free interior prevents unsightly food build-up that can lead to bacterial growth. The ergonomic handle, designed for comfort and balance, stays cool on the stove top. All Swiss Diamond products are oven-safe up to 500 degrees F (260 degrees C) and suitable for use on gas and electric cook tops induction series is priced higher. Made in Switzerland with Eco-friendly production process. Chefs Note: Diamonds are forever! This set scores very well! Your perfect choice for new cookware! Click Here for Giant Cutting boards! Made in the USA! Swiss Diamond Made in Switzerland! Try Me Out Fry Pan features a revolutionary new diamond reinforced non stick cooking surface that provides optimum non stick performance, durability and easy clean up. Nothing conducts heat faster or more efficiently than diamonds - the hardest material known to man. There are up to 200,000 diamonds on each pan, these guarantee a lifetime of non stick performance. Each pan has an ergonomic handle design and is oven safe to 500 degrees F. The base is perfectly flat heavy cast aluminum for use on all gas, electric and ceramic cook tops. Mfr. Lifetime Warranty. Chefs Note: Order soon, only a few hundred left. TRY IT! Diamonds are forever! This cookware scores well! Click Here for Giant Cuttingboards! Made in the USA! Receive a Free Red High Quality pot holder / trivet with any $50.00 Swiss Diamond purchase ($50.00 or more)! Place your order today, limited time offer! Click the button below to add these to your shopping cart! 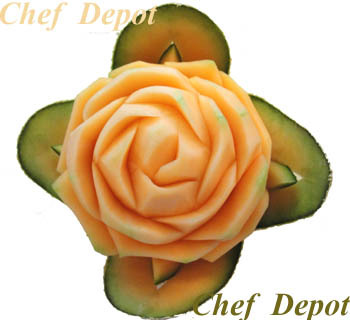 Another Chef Depot Exclusive! You must add to cart to get the free silicone pot holder & trivet. It will protect from intense heat, up to 495 F. Non slip, waterproof and non porous, they provide safety and perfect food hygiene. Great as a trivet for hot pots. Machine washable. Measures 7 in. x 7 in. Chefs Note: ADD To Your Cart! We love the comfortable ribbed texture and the bright red color! Features one hole to allow hanging on the wall or oven or refrigerator when not in use. Works great as a spoon rest when making a batch of red sauce. Chefs Favorite Gourmet Chocolate Bars! 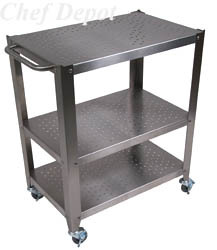 Click Here for Chef Tables! Made in the USA! This is our new Element Natural Steel Fry Pans! Made in France since 1830. Our frypans feature a natural beewax protective finish. Works on all heat sources including induction. Riveted cast stainless steel handles inspired by Parisian monuments. The French Collection Celebrates landmarks bring memories to life every time you use your cookware made in France. The handles are inspired by Parisian monuments and bring design with ergonomic feel. Fast saute, soups and sauces! Boils and simmer and fry fast, with less heat! It is the perfect size for residential or commercial stoves. Modern Bistro Style Stainless Steel Tables - USA quality made! Swiss Diamond cookware features a revolutionary new diamond reinforced non stick cooking surface that provides optimum non stick performance, durability and easy clean up. Nothing conducts heat faster or more efficiently than diamonds - the hardest material known to man. There are up to 200,000 diamonds on each pan, these guarantee a lifetime of non stick performance. Each pan has an ergonomic handle design and is oven safe to 500 degrees F. The base is perfectly flat heavy cast aluminum for use on all gas, electric and ceramic cook tops. Made in Switzerland! Mfr. Lifetime Warranty. Chefs Note: Diamonds are forever! This set scores very well! Your perfect choice for new cookware! Sets with lids are available below (see buttons)! 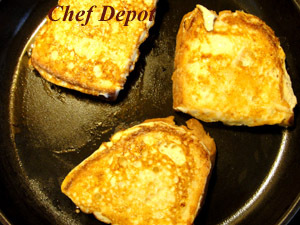 Does your French Toast look this good? Over the years I have tried many brands and styles of cookware. Fast & even heat transfer ~ Nothing comes close to cooking with Diamonds. It also cleans easily with a simple soapy sponge and hot water. Chef Designed Tables! As seen on TV...Made in the USA! Swiss Diamond new fry pans. Choose your size below. This cookware features a revolutionary new diamond reinforced non stick cooking surface that provides optimum non stick performance, durability and easy clean up. Nothing conducts heat faster or more efficiently than diamonds - the hardest material known to man. There are up to 200,000 diamonds on each pan, these guarantee a lifetime of non stick performance. Each pan has an ergonomic handle design and is oven safe to 500 degrees F. The base is perfectly flat heavy cast aluminum for use on all gas, electric and ceramic cook tops. Made in Switzerland! Mfr. Lifetime Warranty. Words on all types of stoves and ranges, oven safe too. Fast & even heat transfer ~ Nothing comes close to cooking with Diamonds. It also cleans easily with a simple soapy sponge and hot water. This is the new Yellow 3 in. Kyocera Ceramic Paring Knife, it holds an edge without sharpening. This is a great ceramic knife, it's very comfortable and easy to use. The ultra sharp ceramic blade cuts with precision and accuracy every time maintaining a razor-sharp edge for many years. These knives are made of an advanced, high-tech ceramic, second in hardness only to diamond, it was originally developed for industrial applications where metal components failed. Chef Notes: The Yellow color is very bright. Very comfortable and easy to find in the block or drawer! 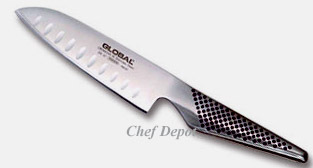 This knife is a great choice for Chefs and Gourmet Cooks! Ceramics are perfect for slicing, dicing, chopping and peeling; garlic, carrots, onions, celery, pears, apples, oranges & fruits. Video below. Do you have the best Cutting Boards made? Why not, click here? Chefs Note: Diamonds are forever! This set scores very well! Your perfect choice for new cookware! Sets are avail. above! New Diamond Plus 10 piece cookware set features a revolutionary new diamond reinforced non stick cooking surface that provides optimum non stick performance, durability and easy clean up. 10 Piece Set includes; 8 in. Open Fry, 9.5 in. Covered Fry, 2.1 Qt. Covered Sauce Pan, 2.6 Qt. Covered Sauce Pot, 6.3 Qt. Covered Stock Pot, 11 in. Open Saute Pan. Nothing conducts heat faster or more efficiently than diamonds - the hardest material known to man. There are up to 200,000 diamonds on each pan, these guarantee a lifetime of non stick performance. Each pan has an ergonomic handle design and is oven safe. The base is perfectly flat heavy forge cast aluminum for use on all gas, electric and ceramic cook tops. Made in Germany! Mfr. Lifetime Warranty. Heavy bottom approx. 8 mm thick. New Diamond Plus 7 piece cookware set features a revolutionary new diamond reinforced non stick cooking surface that provides optimum non stick performance, durability and easy clean up. 7 Piece Set includes; 9.5 in. Open Fry, 2.1 Qt. Covered Sauce Pan, 9.5 in. Covered Saute Pan, 6.3 Qt. Covered Stock Pot. Nothing conducts heat faster or more efficiently than diamonds - the hardest material known to man. There are up to 200,000 diamonds on each pan, these guarantee a lifetime of non stick performance. Each pan has an ergonomic handle design and is oven safe to 500 degrees F. Each pan has an ergonomic handle design and is oven safe. The base is perfectly flat heavy forge cast aluminum for use on all gas, electric and ceramic cook tops. Made in Germany! Mfr. Lifetime Warranty. Heavy bottom approx. 8 mm thick. New Diamond Plus 10 piece Induction Cookware Set features a revolutionary new diamond reinforced non stick cooking surface that provides optimum non stick performance, durability and easy clean up. 10 Piece Set includes; 8 in. Open Fry, 9.5 in. Covered Fry, 2.2 Qt. Covered Sauce Pan,2.8 Qt. Covered Sauce Pot, 5.25 Qt. Covered Stock Pot, 11 in. covered Saute Pan. Nothing conducts heat faster or more efficiently than diamonds - the hardest material known to man. There are up to 200,000 diamonds on each pan, these guarantee a lifetime of non stick performance. Each pan has an ergonomic handle design and is oven safe. 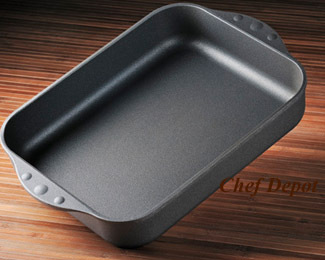 The base is perfectly flat heavy forge cast aluminum for use on all gas, electric and ceramic cook tops. Made in Germany! Mfr. Lifetime Warranty. Induction bottom approx. 8 mm thick. These are bakers oven mittens. They are aluminized silicone coated and heat resistant. They are made from thick quilted fabric. 13 in. long and feature a loop to hang them up. With proper care these oven mitts last for many years. This is the new 5 1/4 inch blade Global mini Santoku (13 cm). Plain blade or features hollow ground air pockets that easily glide through food! Each handmade knife is forged from super high quality Japanese alloy steel. It is very sharp. Lifetime Warranty. Chefs Note: Sweet Mini Santoku, cool handle, razor sharp, super thin edge, perfectly balanced and amazing CROMOVA steel blade. Small hands or you just desire the "Cutting Edge Knife", this is it! If you want a high quality knife to pass through generations, you found it. Global knives are made from the finest high carbon stainless steel available for producing professional quality kitchen knives. Yoshikin uses its own proprietary stainless steel which it calls CROMOVA 18 Stainless Steel. This steel is hard enough for Global knives to keep their edge for a long time, but soft enough so that it is not too difficult to sharpen the knives. The CRO in CROMOVA 18 stands for chromium and the 18 is the percentage of chromium in the steel. This high percentage of chromium contributes to Global's good stain resistance. The MO and VA in CROMOVA 18 stand for molybdenum and vanadium. These two elements give a knife amazingly great edge retention! More Global knives! FREE SHIPPING in Cont. USA on ORDERS OVER $99.00! 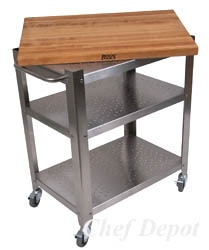 John Boos Chefs Tables & Blocks are on sale! Click Here! Click Here for Walnut Cuttingboards! Made in the USA! Our new 20 x 15 x 2.25 in. Groove Cutting Board is perfect for the backyard BBQ or carving a small roast. 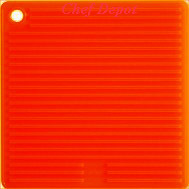 This is the cutting board of choice for all the Chefs here at Chef Depot and many other famous Chefs! John Boos custom makes these exclusive cutting boards for us from first quality Solid Rock Maple, 20 inches by 15 inches and 2.25 inches thick. This reversible board (flat on other side) is NSF certified and will not dull your knife! With proper care, this Maple board can last for life! Oiling it with mystery oil or board cream, will keep it looking new (available below). Function and style, a great all around choice. 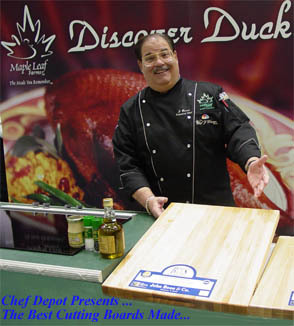 Did you know that maple cutting boards naturally kill bacteria? . 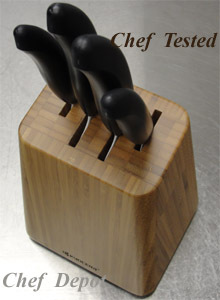 This is our new 5 piece Kyocera Knife Block Set, it includes a 6 in. 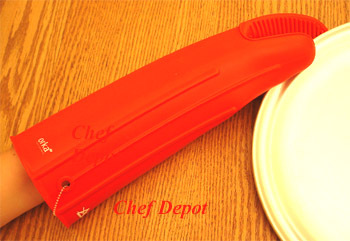 Chef knife, 5.5 in. Santoku Knife, 4.5 in. Utility Knife and 3 in. Paring Knife in a beautiful bamboo block. The compact knife block has a small footprint, measures 5.5 in x 5 in. x 7.5 in. tall with rubber feet. These all hold an edge without sharpening. 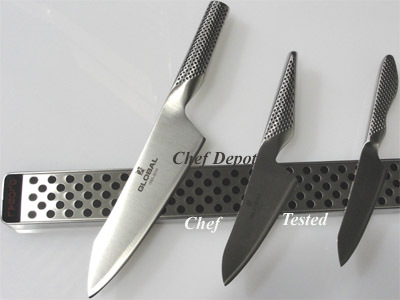 This is the only ceramic knife set that you need, very comfortable and easy to use. The ultra sharp ceramic blades cuts with precision and accuracy every time maintaining a razor-sharp edge for many years. These knives are made of an advanced, high-tech ceramic, second in hardness only to diamond, it was originally developed for industrial applications where metal components failed. Chef Notes: We tested several brands of ceramic knives - Here's the results! Kyocera was the only knife sharp enough to meet our demands, the others were too dull or the blades were too thin and brittle. Only Kyocera scored very high in sharpness, quality, workmanship, material and warranty. These knives are a great choice for Chefs and Gourmet Cooks! Ceramics are perfect for slicing, dicing and chopping. Free bonus pictured below. Chefs Note: We like to use our bamboo boards for parties and special events. These cutting boards simply wash off with soap and water. Oil it every month with Emmets Elixer, to keep it looking new. 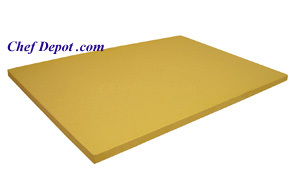 Bamboo cutting boards make an attractive serving and chopping surface. A perfect gift idea! Call us for special sales. Free Bonus: 3 pc. Cutingboard set. A $30.00 value. 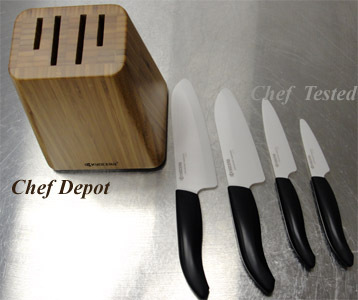 If your have a small countertop area, this knife set is for you! Free shipping in cont. USA. Our Exclusive 18 in. x 18 in. x 3.5 in. End Grain Maple Cutting Board features a radius on the top edges and corners! It can be used for chopping, dicing, Slicing and serving! 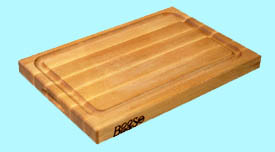 These cutting boards feature a mineral oil finish, made in USA. Aprox. Weight 25 lbs. This hand made piece will be enjoyed by your family and guests! Use the Elixer Oil (pictured below) to keep it rich and preserved. These boards meet all NSF standards. This is the new 5 1/2 in. Kyocera Ceramic Santoku Knife and 3 in. Paring Knife Gift Set. 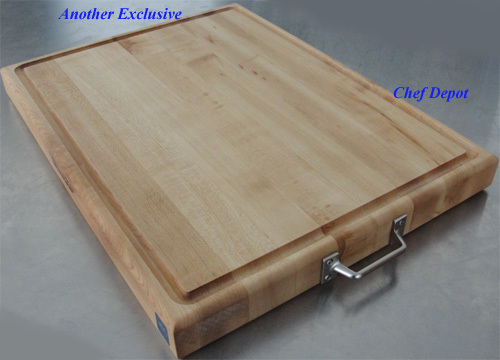 FREE bonus cutting board, limited time offer. These knives holds an edge without sharpening. This set comes in an attractive gift box. This is a great ceramic knife set, very comfortable and easy to use. The ultra sharp ceramic blades cut with precision and accuracy every time maintaining a razor-sharp edge for many years. These knives are made of an advanced, high-tech ceramic, second in hardness only to diamond, it was originally developed for industrial applications where metal components failed. Kyocera was the only knife sharp enough to meet our demands, the others were too dull or the blades were too thin and brittle. Only Kyocera scored very high in sharpness, quality, workmanship, material and warranty. These knives are a great choice for Chefs and Gourmet Cooks! Ceramics are perfect for slicing, dicing, chopping and mincing meats, garlic, carrots, onions, celery, fruits and more! Video is below. Cool review featuring Kyocera ceramic knives. Our Chefs have been using Kyocera ceramic knives in our kitchens for more than 5 years. 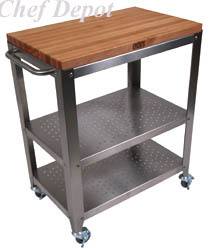 Our USA made Rock Maple Cutting Boards and Rock Maple Bistro Tables will also add style and function to your kitchen. Swiss Diamond cookware features a revolutionary new diamond reinforced non stick cooking surface that provides optimum non stick performance, durability and easy clean up. 3 Piece Swiss Diamond Nonstick Cookware Starter Set Includes: 8 in. 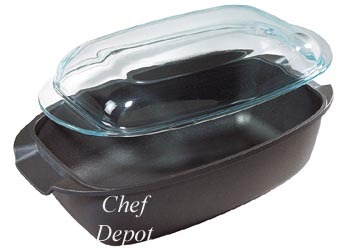 Open Fry Pan, 1.4 qt Sauce Pan, 6.3 in. Cover. Nothing conducts heat faster or more efficiently than diamonds - the hardest material known to man. There are up to 200,000 diamonds on each pan, these guarantee a lifetime of non stick performance. Each pan has an ergonomic handle design and is oven safe to 500 degrees F. The base is perfectly flat heavy cast aluminum for use on all gas, electric and ceramic cook tops. Made in Switzerland! Mfr. Lifetime Warranty. Chefs Note: These sheets are the perfect choice for lining cookie sheets and cake pans, baking cake rolls, delicate sponge cakes, tuiles, chocolate work, sugar, candies and more! These work great under the cuttingboards too, especially with granite and stone countertops (keeps boards more stable). Our new Set of 2 silicone egg poachers are the bomb. Each is the shaped perfectly for making poached eggs. Fast and easy perfect poached eggs. Float and poach in simmering water. Nonstick. Cold and heat resistant -40 degrees F to 446 F. FDA approved. Easy to follow instructions. Chefs Note: A child asked; What came first, the chicken or the egg. Why do you ask? These are simple to use, brush with olive oil, crack the egg into it and you have perfect poached eggs in a few minutes. We find these to be the best design and fun too! Works great for molding chocolates, demiglace and frozen fruit too. Chef Tri Ply Cookware - pots / pans with a Lifetime Warranty! This is our new Pasta Cooker! It is thick stainless, these heavy duty stock pots feature 3 ply encapsulated 4mm layered bottoms. It is ideal for boiling pasta, potatoes, seafood and more! Great for making soups and stocks. Features excellent anti corrosive properties. You will maximize flavors for soups, pastas, stocks, vegetables and seafood. Professional weight for even heat distribution and durability. Comfortable stainless steel loop handles. 18/8 stainless steel. NSF Certified. It is induction ready. (Lid is available below). Works on all cooking surfaces. Lifetime warranty from the manufacturer. Chefs Note: This pasta pot can last for a lifetime with proper care! Perfect size for residential or commercial stoves! see FREE OFFER below! Swiss Diamond cookware features a revolutionary new diamond reinforced non stick cooking surface that provides optimum non stick performance, durability and easy clean up. Nothing conducts heat faster or more efficiently than diamonds - the hardest material known to man. There are up to 200,000 diamonds on each pan, these guarantee a lifetime of non stick performance. Each pan has an ergonomic handle design and is oven safe to 500 degrees F. The base is perfectly flat heavy cast aluminum for use on all gas, electric and ceramic cook tops. The large 8.3 in. x 13 in. roaster is perfect for casseroles, meat dishes, and all types of deep baking. Also, the heat tempered lid reverses in order to be used as a serving dish, Made in Switzerland! Mfr. Lifetime Warranty. Chefs Note: What an amazing pan. We tried many foods, grilled cheese, burgers, pork chops and chicken, easy cleanup. The ergo handle is easy to use and the pan is not heavy but very strong (indestructible). Diamonds are forever!! Swiss Diamond Roasting Pan 8.3 x 13 in. The Roasting Pan 13.75 in. x 10.25 in. (5.5 qts) is perfect for roast meat dishes, and all types of baking. Made in Switzerland! We will give you a Lifetime Warranty. Chefs Note: What an amazing pan. We tried many roasts, chickens, Sauerbraten, and pork loin, very easy cleanup. The ergo handle is easy to use and the pan is not heavy but very strong (indestructible). See FREE OFFER below! Swiss Diamond cookware features a revolutionary new diamond reinforced non stick cooking surface that provides optimum non stick performance, durability and easy clean up. Nothing conducts heat faster or more efficiently than diamonds - the hardest material known to man. There are up to 200,000 diamonds on each pan, these guarantee a lifetime of non stick performance. Each pan has an ergonomic handle design and is oven safe to 500 degrees F. The base is perfectly flat heavy cast aluminum for use on all gas, electric and ceramic cook tops. Mfr. Lifetime Warranty. Watch our Chef Demo using a Swiss Diamond tall sided Saute Pan (Chef Pan). There are up to 200,000 diamonds on each pan and we really like them. Each pan has an ergonomic handle design so its easy to hold. Not heavy and you can braise and finish in the oven ( up to 500 degrees F). Pans are in stock! Our heat resistant half rubber spatula is the best. Each is over 10 inches long and it's heat resistant to 800 degree's Farenheit! Currently green, colors may vary. Chefs Note: The solid hard maple handle makes this spatula very comfortable to use. We have used a set several hundred times and they still look new. These are perfect for scraping all the foods out of cans, mayonaise jars and scraping small mixing bowls! Made in the USA. More Chef Spatulas! Made in the USA! Click Here for Handmade Japanese Chef Knives! Swiss Diamond lids fit the Swiss Diamond Cookware! The lids featur a steam vent, heat tempered glass with metal rims, optimum performance, durability and easy clean up. 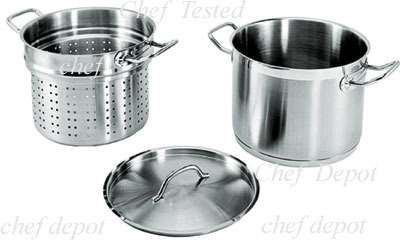 To purchase lids, Swiss Diamond pots and pan purchase is required. Chefs Note: Call for special prices on lids! We love the steam vents! This is our new MONT BLEU Multilayer stainless steel Fry Pans! Made in France since 1830. Our frypans feature a natural beewax protective finish. Works on all heat sources including induction. Riveted cast stainless steel handles inspired by Parisian monuments. The French Collection Celebrates landmarks bring memories to life every time you use your cookware made in France. The handles are inspired by Parisian monuments and bring design with ergonomic feel. Fast saute, soups and sauces! Boils and simmer and fry fast, with less heat! It is the perfect size for residential or commercial stoves. This is a new Kasumi 3 piece Titanium set, it's the sharpest and slickest 3 piece set made. 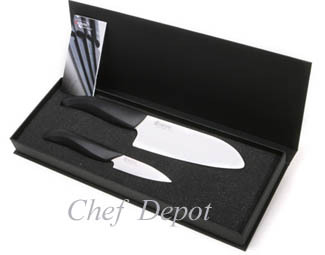 The set features a Santoku knife, Utility knife & Paring knife. The edge that is holds is hair splitting and remains throughout heavy use. The non slip poly handle is very comfortable and virtually indestructible, perfect for every serious Chef. We could not believe how sharp these knives were until we tried each one. It simply glides through most any food. The outstanding Kasumi Titanium coated blade has been achieved by combining the best of advanced modern manufacturing. Keeps a sharper edge longer than other knives. Chefs Note: Slicker than oil on water! Possibly our favorite knife set. Comfortable, lightweight and perfectly balanced. Each knife is carefully finished by the hands of skilled craftsmen. You will love these knives! Get the sharpener! Lifetime Warranty. More Kasumi ~ Click Here! Our new mini Aujus Cuttingboard is perfect for the backyard BBQ or carving a small roast. 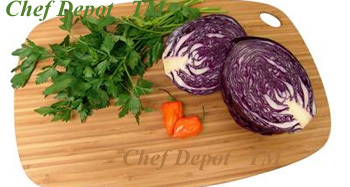 This is the cutting board of choice for all the Chefs here at Chef Depot and many other famous Chefs! John Boos custom makes these exclusive cutting boards for us from first quality Solid Rock Maple, 18 inches by 12 inches and over 1 1/2 inches thick. This reversible board is NSF certified and will not dull your knife! With proper care, this Maple board can last for life! Oiling it with mystery oil, will keep it looking new (available below). This board is the perfect size for smaller counter tops. New Chopping Blocks, Walnut, Maple, Cherry, USA made, Custom sizes too! 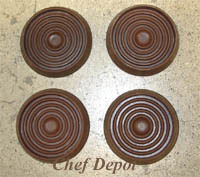 This is a set of 4 large rubber feet. A few customers have asked us for these for their cuttingboards. You can attach them with glue or caulk and they will help reduce the board sliding on some surfaces (like granite, tile or stone). Set of 4 pieces, each one measures aprox. 1 3/4 in. x 3/8 in. thick. A Cutting board Purchase is Required with this item. John Boos Carts & Tables combine function and design! Global heavy duty stainless steel magnetic knife rack is made in Japan, a cool modern design! Extra thick and strong, weighing in at over 4 lbs, this rack features the most powerful magnets to grip the blade firmly for safe and convenient visible knife storage! This holder helps to free up precious drawer and counter space. Hold many tools too. The magnet bar easily attaches to any wall or cabinet for safe knife storage. Video is below. The screws are hidden by covers on each end. Choose from 3 sizes, mounting screws included. This Amazing Knife Holder comes in a gift box. More Global Knives! Great Gift for Chefs ....Click Here! This Round Solid Maple Edge Grain (checkerboard look) Cutting Board is made from select #1 grade Hard Rock Maple. Our logo cuttingboard features a rounded top edge and it's finished smooth and beautiful! We like this round board for chopping onions, peppers, chicken wings and beef! 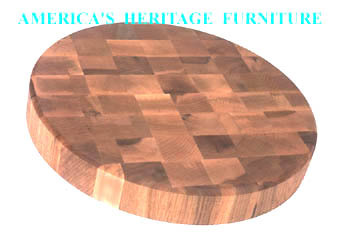 America's Heritage custom makes these cutting boards for us from first quality solid rock maple! The 20 lb. round cuttingboard measures 18 inches in diameter by 3 1/4 inches thick! The 11 lb. round cuttingboard measures 15 in. x 2 in. thick. Maple cutting boards will not dull your cleavers! With proper care, this Maple board will last for life! Oil it every month with mystery oil, to keep it looking new. This is the new Adjustable Ergo Kyocera Ceramic Peeler, it holds an edge without sharpening. This is a great peeler! It's very comfortable and easy to use. The peeler works at any angle, right or left handed, vertical peeling, 45 degrees or most any angle you turn the locking knob! The ultra sharp ceramic blade cuts with precision and accuracy every time maintaining a razor-sharp edge for many years. These tools are made of an advanced, high-tech ceramic, second in hardness only to diamond, it was originally developed for industrial applications where metal components failed. 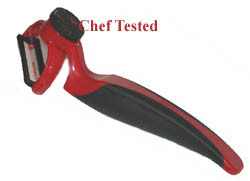 Chef Notes: This peeler will quickly peel carrots, apples and any root vegetables. A great choice for Chefs and Gourmet Cooks! Click Here for more German Knife Sets! These are a pair of Dark Green Bakers oven mitts. They are made from thick quilted 100% cotton blend flame retardant fabric. They are good to stop heat and flames up to 350 degree's F. These 13 in. 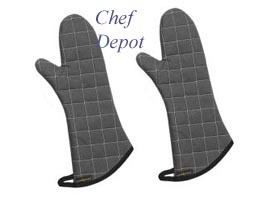 oven mitts are the choice of Bakers and Cooks. Chef Notes: We like to keep a few pairs of these in the bake shop for holiday cookies. Every kitchen should have a few pairs. Avoid the heat and burns! Imported. Click Here for our NEW Kitchen Islands! This is the new Blue Kyocera Ceramic Peeler, it holds an edge without sharpening. This is a great peeler! It's very comfortable and easy to use. These are professional bakers "Pan Grabbers". 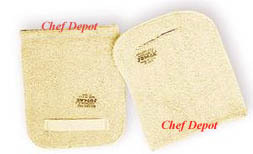 They are made from thick quilted terry cloth with a vapor proof layer to help protect against steam and liquids. They are tested to stop heat up to 375 degree's F.
Measures 8.5 x 11 in. with a elastic wrist strap. These are used by Bakers and Chefs everywhere. Save your hands! Chef Notes: We like to keep a few of these in the bake shop for daily bread making and holiday cookies. Every kitchen should have a few. Avoid the heat and burns! Made in USA! This is the new Kasumi Knife Sharpener. It is a handy little sharpener that's necessary to avoid scratching the titanium or polish on any high quality knife. It is easy to use. Simply add a few drops of water to the unit and pull the knife through several times. It features 2 slots, one has a ceramic wheel that turns and one has a diamond wheel that turns. It wil lsharpen the titanium knives, or any good quality knife blade quickly and easily. It also sharpens ceramic knives by using the diamond wheel only. Click the page links and green arrow on right for more Chef Tools!